Gain year-round exposure for your company by becoming a corporate sponsor of the Ohio Council for Home Care & Hospice. Choose from a Gold, Silver, or Bronze sponsorships. OCHCH can also work with you to design a custom partnership specifically catered to the needs of your business. The Gold Corporate Sponsorship includes your logo displayed in the Center for Excellence classroom, on the OCHCH website, on a corporate sponsorship flyer distributed in workshop packets, and on annual conference signage. Gold Sponsors also receive a complimentary booth at our Annual Conference & Tradeshow. You also receive complimentary use of our classroom for meetings and have the opportunity to exhibit at OCHCH education programs. OCHCH Affiliate Membership is included. 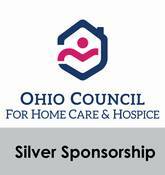 The Silver Corporate Sponsorship includes your company logo displayed in the Center for Excellence, on the OCHCH website, on the corporate sponsorship flier distributed in workshop packets, and on signage at the OCHCH Annual Conference & Tradeshow. OCHCH Affiliate Membership is included. 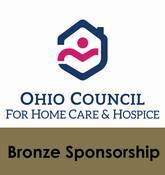 The Bronze Corporate Sponsorship includes your company logo displayed on the OCHCH website, on the corporate sponsorship flier distributed to workshop attendees, and at the Center for Excellence. OCHCH Affiliate Membership is included.